Seattle Art Museum (SAM) executives, joined by City of Seattle leaders, project donors and supporters, and members of the community, gathered at the Seattle Asian Art Museum on Tuesday, March 13 for an official groundbreaking ceremony to mark the start of the renovation and expansion of the museum’s landmark building. After years of design planning with the City, parks groups, and community stakeholders, followed by months of preparation, work on the building has begun and will conclude with the anticipated reopening of the museum in fall 2019. In her remarks at the groundbreaking ceremony, Kimerly Rorschach, SAM’s Illsley Ball Nordstrom Director and CEO, thanked attendees and supporters and reiterated the need to preserve and update the Seattle Asian Art Museum’s building—gifted to the city by SAM’s founder in 1933. “For the last 20 years, we’ve known the day would arrive when we needed to restore this architectural treasure that houses one of the most important Asian art collections in the country,” Rorschach noted. “That day has come.”The Seattle Asian Art Museum renovation and expansion project takes an early 20th-century building and brings it up to 21st-century standards. The project not only ensures for years to come the Seattle Asian Art Museum’s role as a world-class cultural resource and park amenity for residents and visitors, but it also enhances SAM’s ability to share its significant Asian art collection and better serve a growing and increasingly diverse audience. The renovation and expansion preserves the 1933 historic building and its Art Deco façade; improves the museum’s infrastructure; protects the collection with climate control and seismic system upgrades; enhances ADA accessibility; and improves the museum’s connection to Volunteer Park, including the restoration of historic pathways in the park. An expansion in the back of the historic building provides approximately 13,900 square feet of much-needed new space, but changes the museum’s footprint in the park by only 3,600 square feet (less than one quarter of one percent of the park’s 48-acre total), because it is spread over three floors. The project adds a new exhibition gallery, a dedicated education space, and a new conservation laboratory. The project design team includes Seattle-based project architect LMN Architects (2016 AIA National Architecture Firm of the Year Award recipient), landscape architect Walker Macy, general contractor/construction manager BNBuilders, Inc., and OAC Services, Inc., providing construction and project management services. The Seattle Art Museum continues to work closely with Seattle Parks & Recreation, which owns the building and maintains Volunteer Park. The renovation and expansion of the Seattle Asian Art Museum is funded by a mixture of public and private funds. The City is contributing $21 million to the estimated $54 million project, other funding has been secured from, Washington State, and King County, as well as significant gifts and pledges from individuals and foundations. The public fundraising campaign continues. The Asian Art Museum is the original home of SAM. Set in the bucolic surroundings of the Olmsted-designed Volunteer Park in Capitol Hill, the Art Deco building was designed by Charles Bebb and Paris-trained architect Carl Gould in 1933. In the same year, museum founder Dr. Richard E. Fuller donated the building to the city. It opened its doors on June 23, 1933, presenting its founding collection of Asian art to the citizens of Seattle. The museum’s landmark building is included in the Washington Heritage Register of Historic Places. It was added to the National Register of Historic Places in July 2016, joining Volunteer Park which was previously listed in 1976. The southwest corner of Hing Hay Park will be fenced off from January 16 to early February while Studio Fifty50, a design/make studio, installs the iconic artistic gateway structure for the park. The gateway is the final design element in the park expansion project. It is a geometric red metal arch that will welcome the community into the park and define the main entry. The abstract perforations in the gateway represent leaf patters, an inclusive patterns representing all cultures in the Seattle Chinatown-International District. It is made of similar red metal used in the seating and stairs at the park. Studio Fifty50 is fabricating the gateway in their studio and will assemble it in the park. 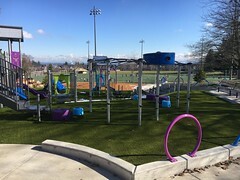 In June 2017, Seattle Parks and Recreation (SPR) opened Hing Hay Park expansion, which is located at 423 Maynard Ave. S at the corner of 6th Ave. S and S King St. The project doubled the size of Hing Hay Park and serves as an important community gathering place for the neighborhood. The new park design includes a cultural performance space, with custom integrated seating that punctuates the terraces and provides micro-stages. The park also features activity areas for all community members to enjoy, including ping pong tables, seating, exercise machines, a badminton area, and shade trees. Additional features include planted terraces, lighting, necessary utilities and sidewalk improvements with ADA accessibility through the park. The design of the park is the result of a series of community outreach meetings, input from local organizations and Friends of Hing Hay Park. The team of MIG|SvR, a local design firm, plus Turenscape, a Beijing-based firm, created the park design that reflects the many cultures of the neighborhood and seamlessly embraces the old with the new. SPR purchased the International District Station Post Office site with funding from the Pro-Parks Levy to expand the original park. The 2008 Parks and Green Spaces Levy provided the development funding and brought the community vision alive. Seattle Parks and Recreation(SPR) will be conducting additional investigative work into the structure below the surface of Victor Steinbrueck Park. This work will begin the week of December 18, 2017 and inform the design process for the Victor Steinbrueck Park Improvement Project. The park will not be closed. Park visitors will see boring equipment and access will be denied in the immediate work zone(s). Additionally, there will be construction noise during working hours. The 2008 Parks and Green Spaces Levy allocated funding to improve Victor Steinbrueck Park. 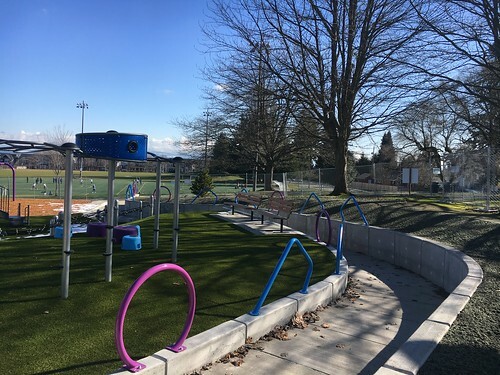 The project includes improving sight lines into the park, renovating seating, renovating the former children’s play area, improving and expanding lighting, and upgrading landscaping. The park sits atop a privately-owned parking garage. The membrane between the westerly portion of the park and the parking garage below is failing. Major repairs to, or complete replacement of the membrane, will be necessary as part of any improvements to the park. We are in the final design phase of this project and anticipate construction beginning in 2019. 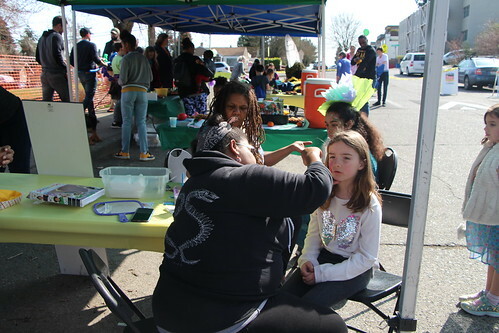 SPR has been and will continue to be engaging organizations including the Chief Seattle Club, the Friends of Market, surrounding residents and businesses and homeless advocates regarding the park. We have hosted two public meetings, held an online Open House, conducted surveys in the park and on-line and presented to the Pike Place Market Historical Commission Design Review Committee throughout the design process. To see the schematic design please visit http://www.seattle.gov/parks/about-us/current-projects/victor-steinbrueck-park. 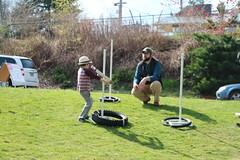 For additional information, please contact David Graves at david.graves@seattle.gov or 206-684-7048 or visit http://www.seattle.gov/parks/about-us/current-projects/victor-steinbrueck-park. 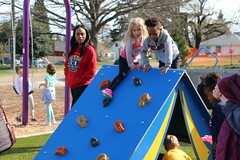 Seattle Parks and Recreation (SPR) is happy to announce the Hing Hay Park Expansion opened today, Thursday, June 29. The community is encouraged to visit and enjoy the new park space located at 423 Maynard Ave. S at the corner of 6th Ave. S and S King St., in Seattle’s Chinatown International District. Hing Hay Park means “Park for Pleasurable Gatherings.” The park has doubled in size and serves as an important community gathering place for the neighborhood. The new park design includes a cultural performance space, with custom integrated seating that punctuates the terraces and provides micro-stages. Activity areas for all community members to enjoy include ping pong tables, seating, exercise machines and shade trees. 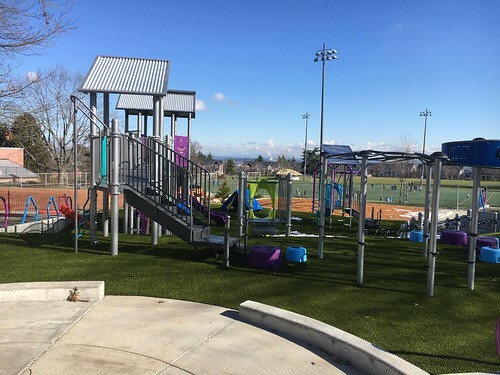 Additional features include planted terraces, lighting, necessary utilities and sidewalk improvements with ADA accessibility through the park. The design of the park is the result of a series of community outreach meetings, input from local organizations and Friends of Hing Hay Park. The team of MIG | SvR, a local design firm, plus Turenscape, a Beijing-based firm, created the park design that reflects the many cultures of the neighborhood and seamlessly embraces the old with the new. SPR purchased the International District Station Post Office site with funding from the Pro-Parks Levy to expand the original park. The 2008 Parks and Green Spaces Levy provided the development funding and brought the community vision alive. On Sat., Oct. 15 from 1 to 2:30 p.m. the community is invited to attend a community meeting at the Seattle Asian Art Museum (SAAM), 1400 E Prospect St. in Volunteer Park for the renovation and proposed expansion of the SAAM building. This meeting is an opportunity to learn more about the preservation, infrastructure improvements and proposed expansion plans for SAAM. The renovation and expansion goals include preserving the historic building; improving the museum’s infrastructure; protecting the collection with climate control and seismic system upgrades; adding vital gallery and education space with a modest expansion; and enhancing ADA accessibility and the museum’s connection to Volunteer Park. Renovation and proposed expansion plans are in progress and your input will help implement changes that will best serve SAAM and park visitors. Because it is early in the design phase process, a construction schedule has not yet been finalized. Depending on permitting and other processes, the current estimated timeline is to start construction in the summer/fall of 2017 and complete it in 2019. To learn more about the project and to provide feedback, please visit http://www.seattleartmuseum.org/inspire. Additional meetings will be held on Saturday, Nov. 19, co-hosted by Seattle Parks and Recreation and Saturday, Dec. 10. Both meetings will occur at the Seattle Asian Art Museum. Today Mayor Ed Murray announced the acquisition of property at 8118 Greenwood Ave. N. for a new park in the Greenwood-Phinney neighborhood. The deal closed on July 1, 2015. Seattle Parks and Recreation invites the community to participate in the third public meeting for the Cedar Park renovation project. The meeting will be held on Tuesday, Jan. 6, 2015, 6:30 to 7:45 p.m., at the Lake City Presbyterian Church, 3841 NE 123rd St., Seattle, WA 98125. The 2008 Parks and Green Spaces Levy allocated funding to renovate Cedar Park in northeast Seattle on land leased from Seattle Public Schools. Recent coordination with Seattle Public School’s redevelopment plan has brought forward different options for this space and for the joint-use playground/park feature at Cedar Park Elementary School. 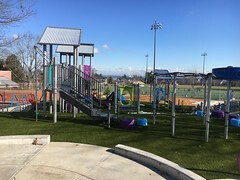 With the re-opening of Cedar Park Elementary the hours and park improvements will be restricted to non-school hours and days and there will be restrictions on kinetic play elements (swings) and sand play elements. Seattle Parks is looking for input on the accessibility of the space, play area elements and lease options for the future of this Seattle School District property. Seattle Parks and Seattle Public School staff will be on hand to gather input and to answer questions. If you have questions, contact Karen O’Connor, Seattle Parks and Recreation, at karen.o’connor@seattle.gov or 206-233-7929.